Hello everyone! With the looming announcement of Sonic’s big anniversary adventure sometime this Friday, I’ve been thinking about the series. Sonic is a franchise I grew up with and have a close connection too, which is evident from my work on the Sonic Retrospective series. 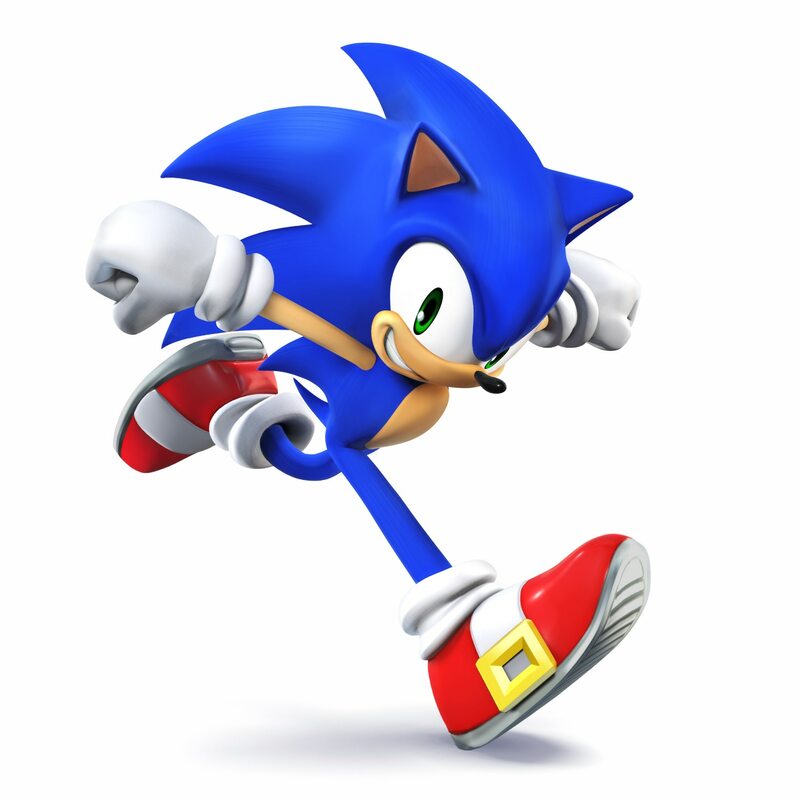 I want to talk about how I started playing Sonic and what I am hoping from the anniversary game. This game did a lot for the series, so much a lot completely changed. 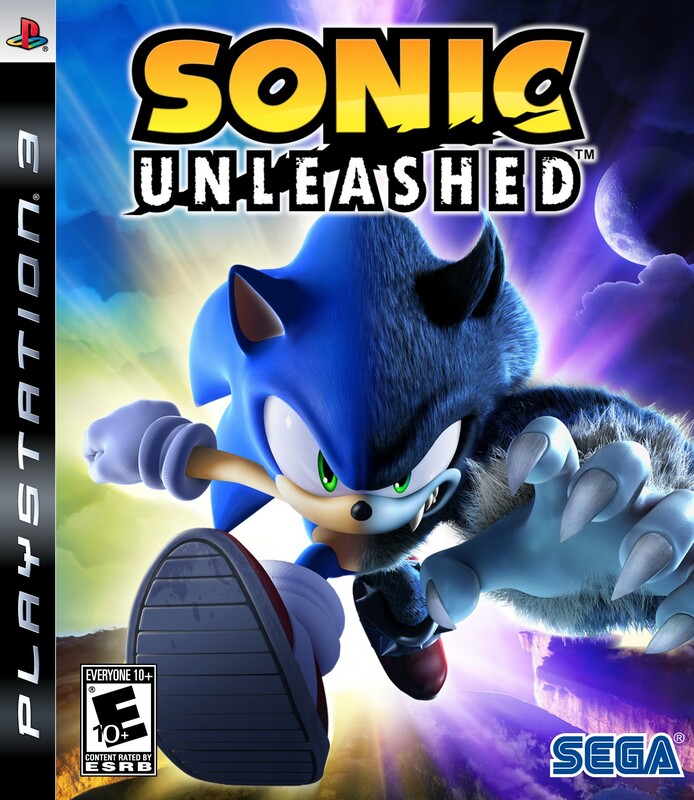 I don’t exaggerate when I say this game is the most ambitious Sonic title Sega & Sonic Team ever produced. It has issues but I will say right away; I find this to be a really great game. Been a while since the last Retrospective but I have a few announcements I want to share with this post. I plan on making Retrospectives for the Super Mario Series, Rayman, Sly Cooper, God of War and more franchises in the future, with all but God of War being exclusive to this site. Originally, my Retrospectives were welcome with open arms on NeoGaf and many loved my work on the Sonic, Ratchet & Mega Man series. But, I noticed that the forum as a strong distaste for the platforming genre, so I decided all future platforming-genre related Retrospectives will be on this site and maybe other sites in the future. I hope you all understand my decision regarding this, as I would rather people read my Retrospectives without hateful or sour comments on the games I cover. Mega Man 8 is a very interesting game in the series, as it is the first one in the classic series to land on the PlayStation One console. How does the massive jump from the SNES too the PS1 effect the Classic series formula? Interestingly enough, very little. If Mega Man 7 was the celebration of the series up to that point, then Mega Man 8 is the graphically impressive title that does very little to change the series formula outside of continuing to take elements from the X series. Just want to let you all know that I am very thankful you all have read my Retrospectives. It has been great so far writing them and I hope you all have enjoyed the work I put into them. So, what is happening going forward? Well, the Ratchet & Clank Retrospective will be concluding soon with a Retro on Into the Nexus later today, as I cannot cover the PS4 game as I do not own a PS4. When I get one, the Retrospective will continue with me covering the PSP games and closing things off with thoughts on the Movie and PS4 games. I will also be posting the Retrospectives I have up on NeoGaf on this site soon in an edited form. They will pop up in bulks, so hope you enjoy a second look at some games I covered. Lastly, the MM Retrospective and Spyro Retrospective will continue and will be more frequent. The former will be daily while the later will be weekly. So, thank you all for your time and I hope you ahve a great night. The PlayStation brand has been famous for being home to a series of great and successful consoles. Many cite the PS2 and recently the PS4 to be strong examples of Sony success in the console market and they are right to do so; both are great systems. But they also put their hat into the handheld ring and it all started with the Sony Walkman from the 90’s. This device allowed you to listen to music using cassettes and later audio CD’s to play music. These were the precursor to the iPod and Sony being the first one to take that step should be noted. They also tried having memory cards with LED screens, which would allow you to play mini games and offer interaction based on the different games. However, this was exclusive to Japan PlayStation Ones and the Sega Dreamcast took this concept to its logical conclusion. Now fast forward to 2004 and Sony is on stage, announcing something called ‘PlayStation Portable’. This blew everyone’s mind, as it was a pocket PlayStation. It would house console experiences and be a multimedia monster. The device had a lot of features that would make it more then just a games system; web browser support, music and video player, support for UMD Disks that house movies and TV shows, support with PS1 Classics on the PlayStation Store, and the ability to play digital versions of PSP games on the PlayStation Store. This continued with the other revisions of the PSP, with the PSP 2000 having a faster CPU to offer games a graphical boost. Titles like Mega Man Maverick Hunter X and the GTA titles benefited from this addition with less slowdown and more stable frame rates. We also got something called the PSP Go and this was ahead of its time. The device had no ability to play UMD Disks, the retail format for PSP games. So, you had to buy every PSP game digital going forward. But the device had 32GB built into the system’s memory so you would not have to run out and get a Memory Stick DUO just to play some games. This version of the PSP looked more like a phone, with the ability to slide is controller out and fit nicely into your pocket. Many loved this in hindsight but it did not do well during its launch. It stands as a case of technology being far advanced but the mass market not grabbing on to it. Lets talk about the games on the PSP now, as they come from all places. The system got a lot of western third party support, and this is major. Many cases, the handheld systems get support from Japan and not the west. What does this man? It means we saw games like Grand Theft Auto, Need for Speed, Star Wars Battlefront and in the future Assassins Creed land on the system. This continued with smaller western studios putting out games like Dead Head Fred and even major western Sony studios putting out games like Daxter and God of War: Ghost of Sparta on the platform. I loved this about the PSP and one element it will be remembered for; its strong western support. The system got a lot of Japanse support too, with that being some of the best of any handheld ever made. Role Playing Games flooded the system, new and old, from developer/publisher large and small. We also got some of the best games from Square Enix like Crisis Core and KH Birth By Sleep on the system because of that strong support. Lets move on to the PlayStation Vita next, as this will likely be Sony’s final fighter in the handheld ring. The system was announced under a code name but it blew people away with its announcement in 2011. Games like Metal Gear Solid 4 were shown running on dev kits of the hardware and titles from western studios like 2K were promised, showing that it would have great support at launch. Fast forward to Fall 2011 in Japan and Early 2012 in US/EU, the system launched with a massive line up of games. High rated titles like Marvel vs. Capcom 3 and Rayman Origins joined the likes of Uncharted Golden Abyss and Wipeout for the systems big opening day. People loved the system and this launch showed promise of games like the PSP game across JP and Western releases. But, things did not go that way for the system. After the launch, some ugly truths were shown about the Vita. It would need Memory Cards to hold digital games, not carrying over the built in space that the PSP Go had. In addition to this, the launch blew Sony’s load, with the system having game droughts across 2012. This was fixed toward the end of the year with first and third party support, but the message was sent; ‘Vita had no games’. That statement never left the Vita despite 2013 onward forever shattering that statement and people started not buying the system. Sony did try in 2012 and 2013 to sell the system, with some strong first party support all around and getting some big names like Assassins Creed and Call of Duty on the Vita. But that wasn’t enough. The system still has under 12 million units solid as of 2016. But the system is still going strong, and that is due to the games. The Vita has many, many games. Lets start from the beginning, as we have a lot to cover here. Sony offered strong first party support from 2012 too 2014 for the platform and these games are some of the best in Sony’s history. At launch we got a solid Uncharted adventure that looked great and the story was enjoyable. In addition, we got as of this article’s release, final Wipeout game and its amazing. It has tons of content across new content built for the Vita and support for every stage and craft that the PS3 Wipeout HD and DLC pack Furry has. Meaning, you walk away with a content rich racer that will offer hours of fun. A little after launch we got a game called ‘Gravity Rush’ developed by Studio Japan’s Siren team. This was originally a PS3 game but they put it on Vita to take advantage of the system’s gyro controls. The end result is one of the best new IP’s to come out of Sony in some time and it is getting a PS4 sequel in 2016. We also got a game called ‘Soul Sacrifice’ released on the Vita in 2013 as well, with it being a co-developed title with Studio Japan and Inafune’s Concept studio. It was a Monster Hunter-like game where you explore different locations killing X amount of things but the core gameplay is different and the story is very strong. Very strong game that got stronger with its Delta release in Early 2014. Next up is the Japan developed titles from third party studios, as they took the torch from Sony in some respects in 2014. In 2013, we got the release of Persona 4 Golden by Atlus and P-Studio. They originally wanted to release this on the PSP but the constrants they faced with bringing Persona 3 to PSP pushed them to work with stronger hardware. It was an expanded remake of the PS2 Classic and to this day, many consider it one of the strongest releases on the PS Vita. This strong JP support continued in 2014 with many interesting titles. We got the Danganronpa series coming out, with the first game releasing early in the year and its sequel coming out Fall of 2014. It was a puzzle/visual novel title that had a warped sense of humor, some strong characters and some great music. The series found its home in the west on Vita and two more games, one released and the third mainline game coming out in Japan 2016, on the way to Vita in the future. Then we got a game called Sword Art Online: Hollow Fragment released on the Vita. This game is based on the anime and light novel of the same name, but it does a lot more then expected. It is a honest attempt at making a role playing game with MMO elements, not unlike Final Fantasy XII or Xenoblade Chronicles. For a licensed title based on an anime, that should be noted. The game started life on the PSP under the title ‘Infinity Moment’ in Japan and when they wanted to make a PS Vita title in the series, they decided to take the PSP game and build a whole new game around that. The end result? We get two games in one with Hollow Fragment in many respects; the main story of Infinity Moment with the Alicard portions of the game and the Hollow Area section being built for the ground up with Vita hardware in mind. I really enjoyed this game and while the story is infamous for its poor translation, I liked how they continued the story from the anime at arguably its strongest point. Was a real surprise for me and one of my first JRPG’s on the system for me. This strong JP support continued into 2015 and 2016 with many developers throwing their hat into the Vita ring. Atlus continued supporting with Persona 4 Dancing All Night, Bandai Namco supported the Vita after the strong success of Hollow Fragment with many titles, other JP studios like Gust and NISA put games out on the system and more. The Vita lacked major support from Square Enix, but that wasn’t needed; other studios took the role they had on the Vita. Lastly is the indie support the Vita has gotten since 2013 and it has helped form an identity for the system as the best way to play many indie titles. Early indie games on the system include titles like Guacamelee and Mutant Blobs Attack by studio DrinkBox but more indie developers released their games on the Vita due to the audience buying many indie games in droves. Sony not releasing many first party titles and the long software droughts left empty places where indie developers and JP studios could put out their games for Vita owners to buy and that is exactly what happened. From ports of older titles like Limbo, Splunky, and Fez too original recent titles like Steamworld Dig and Severed; the indie scene continues on the Vita and with movements like Cross-Buy making indie titles even more attractive, we have a large collection of games many can love and enjoy. Sony’s run through handhelds has been interesting to say the least. From the humble origins of the Walkman too the PlayStation Vita, the Sony brand of handhelds have been all over the place. While we may not see another handheld by Sony in the future, the ones we did get are fantastic pieces of hardware that many love and enjoy. This game in the Mega Man Retrospective continues the Mega Man X series despite X5 originally being the final game in the series. Unlike X4 and X5 which got enough time to be made, X6 only got under a year to be produced. Does the story make sense considering X5’s ending? Is the game enjoyable despite its rushed nature? Is it REALLY as bad as some of the weakest games on the market? All will be answered here hopefully and while I might not be the most positive with this one, I hope you still enjoy reading my Retrospective on the title! Development on Mega Man X6 started not long after work on X5 wrapped up and most of the same team worked on that game but with a much tighter work load. He was flabbergasted with X6 being made and wanted to make up for fans for the title with pushing Inti-Crates to ensure MM Zero is strong title. Artist Hauki Suetsugu, someone who worked on past MMX PS1 titles, also cites rough working conditions when making the game. This lead him to design the Mavericks of the game to be more ‘simple’ compared to past MMX games. The last bit of info is that the game was completely voice acted in JP for all regions and it even kept the J-Pop intro song many PS1 Mega Man games had in the JP version but got gutted in the localized version. X6 released in November in Japan, with December & February releases in NA and EU following after. It got meet mixed reception with a few positive reviews thrown into the mix. IGN gave the game an 8/10 while EGM gave it a 3.5/10 for example. The story of MMX6 is odd, as it is a mix of the two endings of MMX5. You have the good ending being used to show that X and the other hunters continue fighting on despite Zero’s death but you have the bad endings impact on the Earth be present. So the game opens two weeks (instead of two years) after the events of MMX5 with Zero still being dead and Earth being heavily damaged from the impact of the Eurasia Colony. 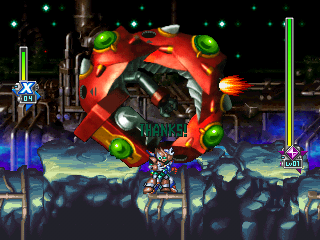 X is sent to take out a Maverick in the crash site while seeing Zero land the final blow. A robot called High Max, looking for the ‘Zero Nightmare’ and after a fight with X, both it and X warp elsewhere. 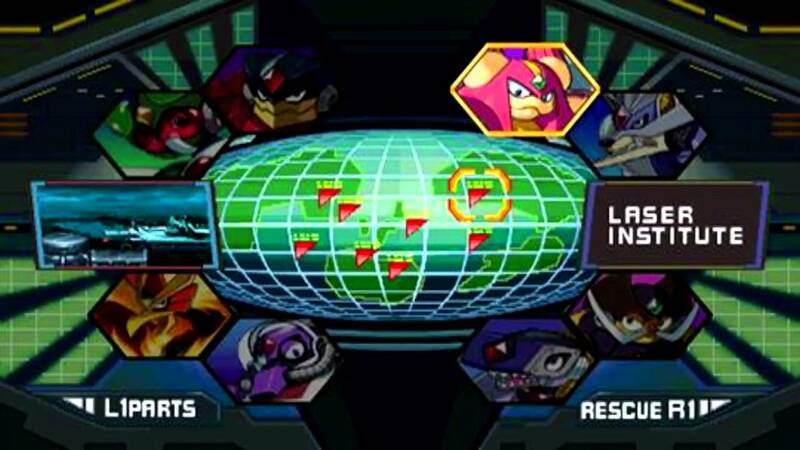 We later see a Reploid called Isoc (who is NOT Dr. Wily in robot form) telling everyone that they are in charge of repairing the Earth and are looking for researchers to help find out what is going on. X and the Maverick Hunters don’t by this and start going to where eight of the researchers are located to check up on them and see what this ‘Zero Nightmare’ really is. The overall plot is……meh to be honest though, the translation is the highlight here. X: “How did you come back?! Shakespearean works of art, I must say. To be serious, I should be mad with this as no other X game had this level of badly translated writing but like the bad voice acting in X4 and MM8, I just can’t help but chuckle at this. Story does touch on interesting things, like Isoc being heavily implied to be a robot version of Dr. Wily and getting a bit of Aila’s life outside of being a navigator for the Maverick Hunters via Gate but otherwise, its not that interesting overall. Gameplay here…..well I will be cutting this into three parts; core gameplay, level design & the Nightmare system. 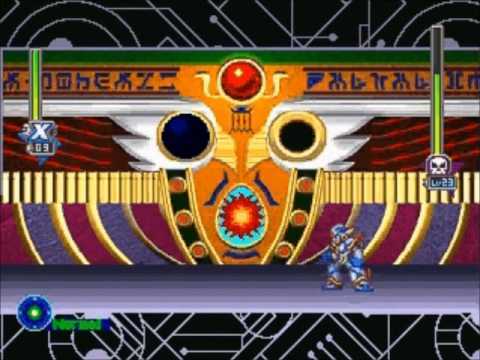 Gameplay is more Mega Man X, with X having his Falcon Armor from the start while Zero being unlocked via special gate in any of the levels (after you take down the Zero Nightmare boss). X is fun to play as and Zero is very overpowered, making him a joy to play as. The only major inclusion here is that X can use the Z-Saber and that Zero has his Z-Buster from the start when you unlock him. Levels are built in mind for Zero instead of X this time though, which I will be touching on soon enough. But for now, lets just say Zero deals with the least amount of annoying things here. We also have hostages returning from X5 and they are a large mechanic here; you NEED the parts they offer you like Speedster, Armor Defense (which increases your invincibility frames when hit) and Higher Jump (X NEEDS this) to get everything in the game and when Nightmare creatures touch a hostage, they are gone for good. Even if you go back to the level, they are still ‘gone’. So reset your game when this happens. Otherwise, the only thing to comment on is weapon abilities/armors and Zero has a few good tools here. You have a strong screen nuke attack and a powerful super fast spin attack are great additions to Zero’s line up. X has some good tools as well, with two new armors that allow him to become a ninja (shooting shurikins) and one that lets him use the Z-Saber more…..but its best you stick with the Falcon Armor. Overall, the gameplay here is fine enough and if you enjoyed past X games, you will have fun here……as long as you put in the cheat codes for Ultimate Armor X and Black Armor Zero. Will explain why in the level design portion. Level design….where to begin? Okay, lets start with the good. Some of the levels present fun gimmicks that I enjoyed. You have the ice level with walls you cannot cling/jump off of and that was a nice deviation from how things are in most X titles. I also liked the acid rain gimmick in one of the stages, as you are pushed to get things done super fast and the game is somewhat fair with health re-store stations if you have low health. Also like the idea behind the dual-level system where each level has a smaller level to explore that has an extra boss at the end of the state, making things quite replayable. Now, lets move on to the bad, as there is sadly a lot of that. X has a very hard time here, as the game was NOT built for him. You have sections where you need the added height of Zero’s double jump or faster movement abilities to get through places but you do not have that. This is something you can adjust to at varying levels depending on the Mavericks you take on with X. Levels like Blaze Heatnix where you have to fight the same mini-boss 5-6 times is a problem with X but some of the earlier Mavericks aren’t that bad to deal with. Zero is the best way to play the game, as he has less annoying bits do deal with thanks to his expanded moveset. But his base armor is very weak and with how dangerous things can get for Zero are, it makes him die very frequently. Using the Black Armor Zero code removes this issue and as a result, the game can be quite fun with him. It also turns what should be a game that is very annoying to play, into quite an easy game. I beat the game as Zero in a single sitting and that is without hunting down for everything. X took longer to beat with though and if you want a hard challenge, play the game as him. The Nightmare system is something that NEEDS to be discussed, as this is one of the worst parts of this entire game. Level design is a bit annoying and the core gameplay is fine but this causes a lot of the frustrations many have with this title. Design wise, this was supposed to mirror the levels changing after fighting specific Mavericks like in MMX1 or MMX3 and that affecting the other levels. 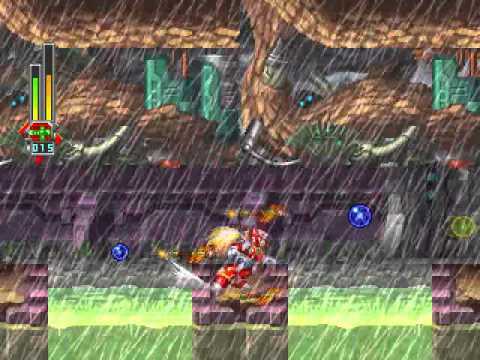 If you never played X1 before, picture this; fighting a Storm Eagle and after taking him out, Spark Mandrills stage is completely blacked out due to Eagle’s ship crashing into his power-plaint. That is a great idea, but if done poorly, it can just anger gamers with annoying level gimmicks that are NOT needed. X6 suffers from this poorly implemented on the game with Nightmare Effects that only detract from levels. Having acid rain come down on you with darkness being all over the place, fireballs making navigation across icy platforms far more frustrating then before and having extra blocks making the crusher stage even more stressful. I don’t mind this idea, but it really detracts from the game and that is a problem. You can avoid this by not selecting the Red covered stages……but you still get Nightmare Effects when you select non-Red covered stages. It makes the effect feel random and it shouldn’t feel this way. The last portion before presentation is the tower stages and we have two with gate and one with Sigma (SHOCKER! He’s back). The first Gate Stage has spikes everywhere and a very large gap that if you do not have the jumper or Shadow Armor, you will NOT be able progress. That is a major design issue that shouldn’t be present. Otherwise, it is a challenging first stage, more so then other first tower levels honestly. Rising Lava, spikes all over the place and foes flying at you from all sides. The boss (Nightmare Mother) is a fun fight with Zero as well. The second stage for Gate is okay for and I had fun getting through here. Fighting with Gate was a tennis match the balls hurting you the more you hit them….but you have….to…hit….them. Again, poor design rearing its ugly head but fine level otherwise. The Sigma stage is okay and fights with him (two of them) are quite easy compared to past battles. 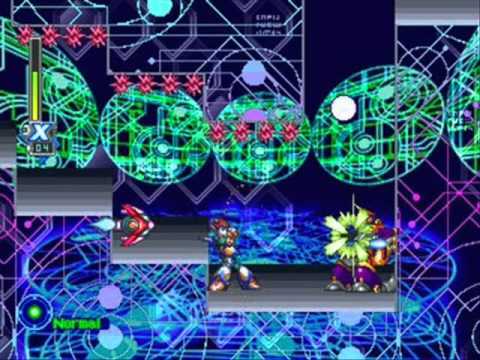 The second phase has an amazing theme though and one of my favorite versions of Sigma’s theme in the entire series. The presentation continues the devastated look that X5 established and I like this style. Harsher looking locations makes me feel more at-edge when exploring the various levels. Musically, its a damn good soundtrack, with many tracks hitting home. Intro Stage, Blizzard Wolffang, Blaze Heatnix, Sigma Phase 2…..many of the tracks are fantastic and next to X1, X2 and X5, this is my favorite score in the series. This game is very odd to me, as I should hate it more. It has bad design issues and the story isn’t that interesting. But, I had fun with this and for people willing to deal with some really annoying gameplay systems/design issues, it is worth playing this game at least once. I take back my comments about this comparing to Shadow the Hedgehog and Sonic 06, but I still do not consider this a good game. Its just ‘okay’ to me honestly. This continues my Mega Man Retrospective and this is a major game in the X series; this was supposed to be the conclusion to the X Series originally. So, this game tries to wrap up a lot of loose ends that hanged since day one. How does the game compare to other Mega Man X titles and is it a solid conclusion to the series? Lets find out! But first, this WILL contain complete story spiolers, so please read ahead with caution if you never played this before. Inafune had little part of X5’s development, telling the team ‘Finish the series off with this title’ making the team push for the game to cover everything; the series connections to Mega Man Classic, how the future series of Mega Man is set up (MM Zero), and in general, trying to make a fun final game for fans of the X Series. But Capcom commissioned for a sequel game, MMX6, to release a year later after MMX5. Will be covering that with great detail when the time comes, but for now, lets just say they had little time to work on it compared to X4 and X5. The game released in November 2000 in Japan and in February & August in 2001 to lukewarm reception. But the series continued and we got three more mainline X titles despite this originally being a conclusion title for the series. So X and Zero head out to get the parts needed for the cannon and ship, with the goal of taking out the Eurasia Ship to prevent further damage to the Earth. Where things get interesting, is based on if you play as X or Zero. X has interactions with the Mavericks and it is very interesting; some Mavericks like Squid Adler KNOW X from past events or others honorably push X to fight them for the part like Grizzly Slash and Duff McWhalen. I enjoyed encountering the bosses just to see what the Maverick will say. Its also interesting to note that The Skiver was part of the Repliforce, showing that continuity is important to the series. The story also explores Zero’s past with Wily, as the Simga Virus WAS originally the Zero Virus, just transferred. This causes Zero to be immune to its effects and gets stronger the more he takes in. Depending on if you use the shuttle or not and it succeeds, this leads to Zero being activated how Wily intended and him becoming ‘evil’. The end of the game depends on if destroy the station or not but how it plays out is interesting. If Zero isn’t evil, X just lives on and fights another day. But if Zero is evil, not only does X recover from his fight but we get Zero being dead, X forgetting everything about his friend & even seeing some hints toward the Zero series. It sounds like a lot, and it is, but it isn’t super interesting over all. I enjoyed the boss encounters and the end-game story stuff but the text boxes and long stills were a step down for me compared to the FMV’s that X4 had. Well, its more Mega Man X in many respects. 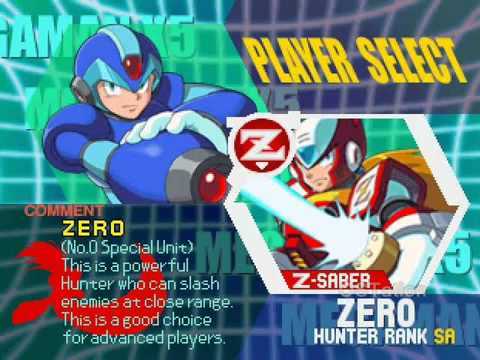 X has his Mega Buster and Fourth Armor from MMX4 (if you play as him from the start) and Zero has his Z-Saber and Z-Buster (if you start the game as Zero). Both can dash on ground & mid-air, wall jump/cling, and have basic attacks (X = Cannon Attacks, Zero = Melee Attacks). What is different is the smaller things. One thing is a time system, where once you select a level, you lose one out of 16 hours. If you lose all your hours, you HAVE to fire the cannon/fly the shuttle. But with 8 Mavericks and two fights with a new character, you still have 6 extra hours for backtracking and stuff, so this isn’t that big of a deal. Hostages are a new system though, as if you save enough in the stages, you can increase your health or weapon energy. This is a much larger mechanic with X6 though…..an annoying one I must say. The armor system is different too, with X having three armors to collect, but unlike past games, you need ALL FOUR PARTS for them to work. Meaning, you have to get every part to even use the thing. This is very, very annoying and makes them useless until you reach the halfway mark. Will touch on why this is annoying when I talk about the stages. But anyway, you have three armors; Falcon (ability to fly for 10 seconds in the air), Gaea (greater defense and ability to move on spikes but no air-dash) and Ultimate Armor (ability to use the powerful air dash Giga Attack). Zero even has an armor and like the Ultimate Armor, you can find it in Simga Stage 3. The stages in X5 are varied, ranging from a stroll through a sunken ship, racing on a jet ski to a hidden base, and exploring a location filled with literal guns & roses (ha); the level variety is on point and makes each one fun. Squid Alder’s level is fun if you are just going through it for example, as it’s a high speed bike section during the introduction that leads to a platform heavy puzzle area where you are hit/shoot pillars into switches to continue. If you want to get the head armor piece to the Falcon Armor…….you will be here for a very long time due having to collect little spheres. This stage was the reason I never bothered collecting the armors outside of the Ultimate Armor. Otherwise, fun stage. Also enjoy the fire level in the game where you fight Matterx; it has you hide behind rock pillars to avoid insta-death fire blasts and it is fun to avoid all the attacks plus it makes great use of the wall cling ability. The fights themselves are sadly not that rewarding if you are going in weakness order. They get locked in place after you hit them with weakness attacks and it makes the fights very easy. I tried fighting a few of the Mavericks with only the Mega Buster and they presented fun patterns. Duff McWallen is a great one for example, as he shoots pillars of ice that make a platform you run across. And during the mid-fight, you have to avoid them being shot at you rapidly toward the wall with spikes. So if you want a challenge for X, do not use the weakness for the bosses. Items you get from the bosses are good; you get the Slasher which can be charged into a shield that attacks foes for a bit, Izzy Glows weapon is a movable missile, and you have the Goo Shaver which shoots a sliding across the floor. But two weapons I want to highlight; the Electric Ball and the Time Stopper. Yes, the Mega Man 1 and Mega Man 2 weapons are in this game and function almost 1-to-1 the same. Even two bosses heavily mirror Mega Man 7 and Mega Man X1 bosses. Then we have the Tower Levels, which are complete re-creations of past Mega Man locations. 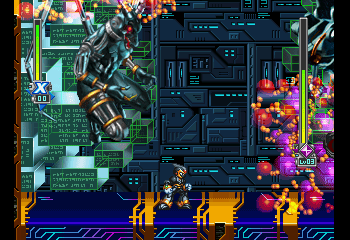 Virus Stage 1 is a remake of the Bubble Man’s Stage from Mega Man 2…. …..With the boss of the level being the YELLOW DEVIL! Yes, the X Series has its own Devil fight and is just as long and difficult like past Mega Man Classic games. But the final form of this thing is Wily Machine Six. 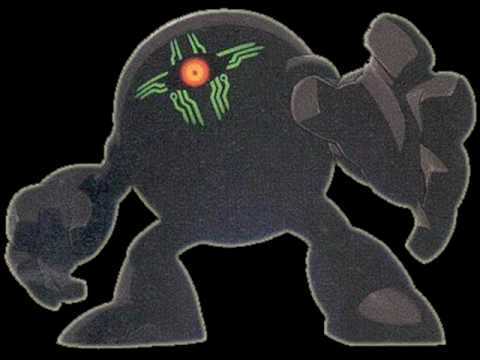 The next Virus Stage is a re-creation of Sigma Stage 1 from Mega Man X with it concluding with this guy from Mega Man X (link to image). It’s the same exact fight as well. We have two more Virus Stages, with one concluding with a fight with Zero and the next one having the vanishing blocks from past Mega Man Classic titles. It concludes with a fight with Sigma. Overall, the level design is strong here and despite some really annoying bits here and there, I had fun running through the game as X. Yes, I said X as I didn’t play as Zero for this run of the game. I completed most of the game as Zero with my X Collection copy a few years back and decided to try the game out with X and I made a good move, as you can lose Zero. This is a problem that I need to bring up; if the shuttle fails, you lose the ability to play as Zero. And this is randomized after you collect all the parts of the shuttle. One way to avoid issues is either collect three pieces of the cannon and keep firing it until you get it to work or just play the entire game as X, with you collecting heart tanks with him. The anime cut-scenes are gone but that does not prevent the game from being a great looking title. The levels have a lot of detail and the sprite work is very well done. The Pre-Rendered bits here and there look nice to me honestly too. The music is filled with great remixes from past MM Classic and MMX tittles with the new tracks being really great inclusions. Some of the new tracks like the Boss Theme are personal favorites to me. We even have a few unused tracks too. This is a fun action platformer that while having some issues, is still a great time for people that are fans of the X or Classic Series. The game really celebrates the entire Mega Man series (from 2000) and it is a game I recommend playing. The Mega Man Retrospective continues! After the release of Mega Man 4, we got Mega Man 5 a year later and this game is a more ‘simple’ sequel compared to Mega Man 2 and 3. It has less new features, but it sticks with what works and it ends up being a great time because of that. Right after Mega Man 4 release, development soon followed on a sequel game. Inafune continues working with the series but for this title, citing that he feels Mega Man 5 was one of the more easier games in the series. In his own words, he did not want to “make an unreasonable game, an affront to the players”. Considering they felt they stretched the core foundation as far as they could at this point, they just made everything ‘better’. Mega Man’s slide remained the same but they gave his charged shot more power thanks to Mega Man 4 sudo-villain, Dr. Cossack, upgrading his Mega Buster. He also made a little bird robot named ‘Beat’ which can help Mega Man attack foes when he is close to them. Some interesting information about Mega Man 5 is that the robot masters featured in the game, are all based on creations over 130,000 gamers sent to Capcom thanks to a collaboration with Nintendo Power. This continued for a number of titles (just like Mega Man 3 and 4). The game released in December 4th, 1992 to solid scores and solid well for Capcom. One would thing this would be the final NES Mega Man title around this time period but we got Mega Man 6 a year later, which I will touch on when I make the Retrospective on that title. After the events of Mega Man 4, Rock and Dr. Light are relaxing in his lab but when they go outside, what appears to be Protoman captures Dr. Light and Mega Man follows suit. Protoman is causing havoc across the world and goes after a series of robot masters Protoman took in; Star Man, Gravity Man, Gyro Man, Stone Man, Crystal Man, Charge Man, Napalm Man, and Wave Man. After defeating them, we head to Protoman’s base of operations and it functions like the Dr. Cossack levels in Mega Man 4. After fighting Protoman, the original Protoman appears and we learn that the one causing all the problems is a creation from Dr. Light called ‘Dark Man IV’. 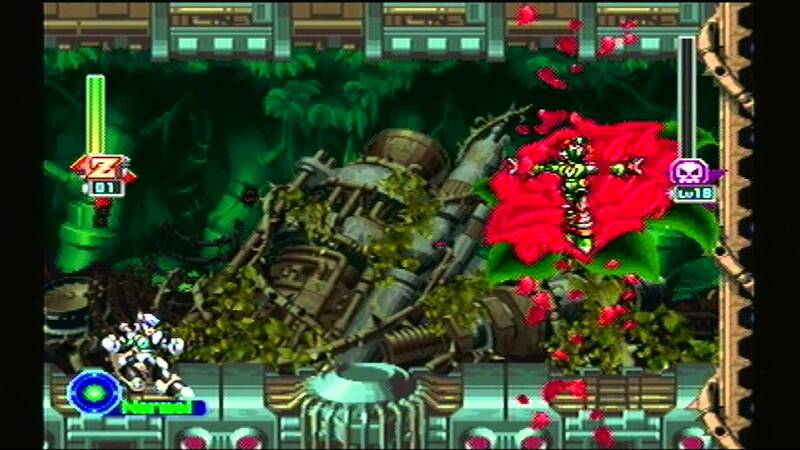 We then head through Dr. Wily’s Fortress and take him out, saving the day. Dr. Light escapes and Mega Man saves Dr. Light. All is well with the world, with Protoman watching over Dr. Wily’s base being destroyed as Mega Man & Light escape. Simple story and one that continues the ‘Wily is not the main villian…..nah, we are just playing around. Take out that guy yet again.’ It makes up play through more levels, so cool with that set up. Well….its more Mega Man Classic. Jump and shoot action with abilities from past games feeling good here. The charged buster shot is very powerful and makes fighting through the robot master levels & fighting them much easier compared to past games. We also get a little bird named Beat, which can attack foes that come close to Mega Man. He is very useful for fighting bosses and its a good idea to find him! You do so by exploring the different levels for M-E-G-A-M-A-N-V letters. Level gimmicks this time out continue to be interesting like past games, with Gravity Man having, well, gravity gimmicks that are tricky but fun to get through. My personal favorite robot master stage was Wave Man’s level, were you get to ride a water craft until you get to the boss encounter. The fights themselves are fun and enjoyable, with different patterns like other Mega Man titles. What makes this fun is how the level gimmicks translate into the boss stages. Gravity Man pushes upside down and right side up as you fight him, so Mega Buster or Weakness, you have to watch your surroundings and movement. Some of the robot master powers are fun to play with, like the Star Shield though that isn’t very effective. This mirrors the other powers, with them far less useful due to the stronger Mega Buster outside of Robot Master fights. This gets fixed in later games but it is a small issue here. We see that happen in other Mega Man games with Underwater fights, but its nice seeing the robot master bosses having new ways to fight them. The only downside is that they are very easy to fight, as thanks to Mega Man’s powerful Charged shot, you can kill them quite fast compared to normal Mega Buster shots. The Tower stages follow Mega Man 4 with them being easy but still very rewarding to get through. The first fortress has a nice haunted feel with the location being set in a drab castle. The second level is more high-tech with a lot of gimmicks to interact with. Spikes and Conveyor Belts common in this section. The final two Protoman castle levels is on the a rooftop and one where you fight the fake Protoman himself. The Wily Fortress is composed of four sections. The first one is a tricky section, with spikes being common and having you jump on spinning wheels. Overall, this was a fun set of tower levels to go through. Did you enjoy the presentation of Mega Man 4? Well, its more of that! The game has bright colors and more space-like locations compared to past games, and I love space levels. The robot master designs are great as well and show a lot of personality. Musically, we got a few nice tracks though I prefer the other NES soundtracks over this game. I had a great time playing this for the first time! The gameplay is more Mega Man and after having some issues with Mega Man 4, having a more calmer and relaxed pace with this ones easy difficulty was nice. 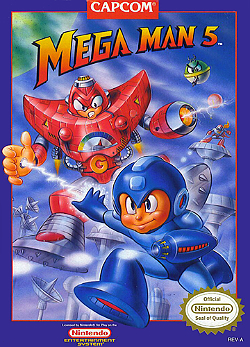 I enjoyed revisiting Mega Man 4 and honestly prefer that to this, but I enjoyed my time with Mega Man 5 a great deal. Highly recommend this if you want a fun adventure with the Blue Bomber. This conclusion to the Future Series continues this Ratchet Retrospective! Releasing in 2009, this concludes the story Tools of Destruction and A Quest for Booty tried to tell. Will Ratchet find the Lombaxs? Where IS Clank? And why is an old foe returning? Lets read this retrospective and find out. 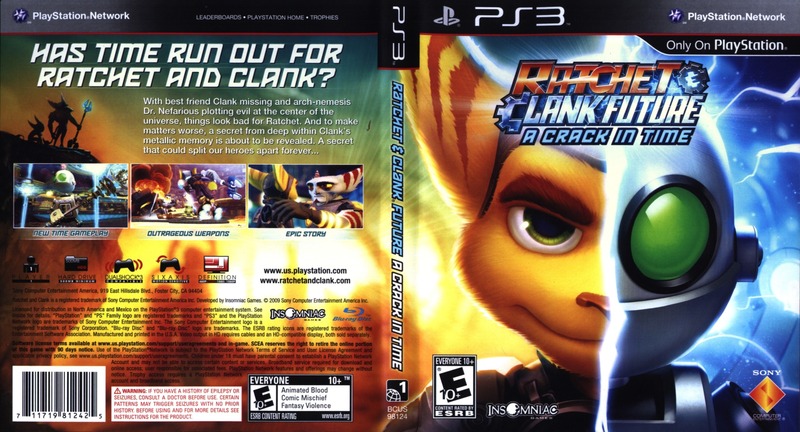 This game was announced early 2009 with a really impressive teaser showing a small orb moving through a clock with a lot of gears, closing with a picture of two Lombax’s and an older Lombax warrior turns to the camera, saying “Are you ready?” before flying off and the logo hits the screen; Ratchet & Clank Future: A Crack in Time. The title was planed to be a strong conclusion to the Ratchet series as a whole, with the plot lines introduced in the earlier Future titles being wrapped up and Insomniac wanting the origins for both Ratchet and Clank to be resolved by the end of this adventure. New mechanics were introduced such as the hoverboots to push for faster navagation across larger maps, time-based puzzles for Clank and open space exploration to really hit that exploration feeling home. It was also the first time in the series were we got a new composer making music; Boris Salchow takes the help of A Crack in Times score. People were impressed with the title when it was demoed and showed off, with it having a successful launch in 2009. It got some of the highest scores in the series history (next to the PS2 titles) and people to this day regard it as one of the series best adventures alongside Going Commando/Ratchet 2 and Up Your Arsenal/Ratchet 3. The plot continues where Quest for Booty left off, with Ratchet and Talwyn finding out where Clank is and learns that Dr. Nefarious from Ratchet 3 is with him. So, Ratchet rushes to the Polaris Galaxy with Captian Quark joining the ride while Clank wakes up inside this place called the Great Clock, where Dr. Nefarious is causing havok looking for the robot. He stuns Clank and leaves, letting him wake up later and him meeting Sigmund (voice by Nathan Drake himself; Nolan North!). 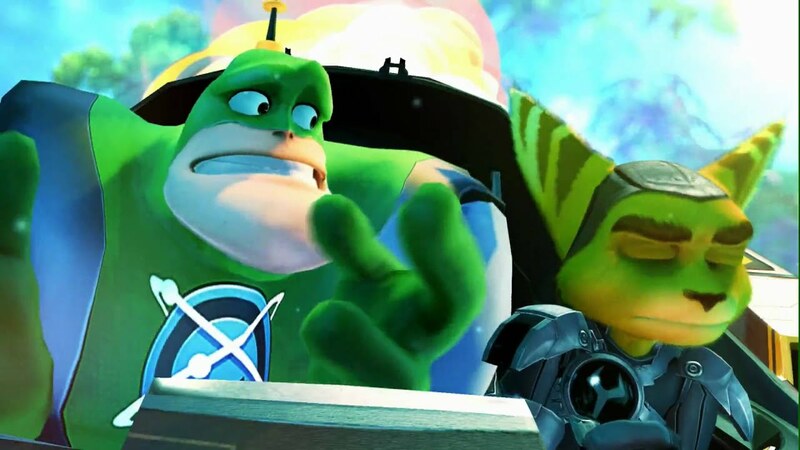 Ratchet & Quark crash land on a jungle planet where time is all out of wack and after various events happen, Ratchet sets off to explore space to find another Lombax, named General Azmith. The story is less humorous compared to past titles but that is fine, as this serious story where Clank and Ratchet learn about themselves and their history was enjoyable. 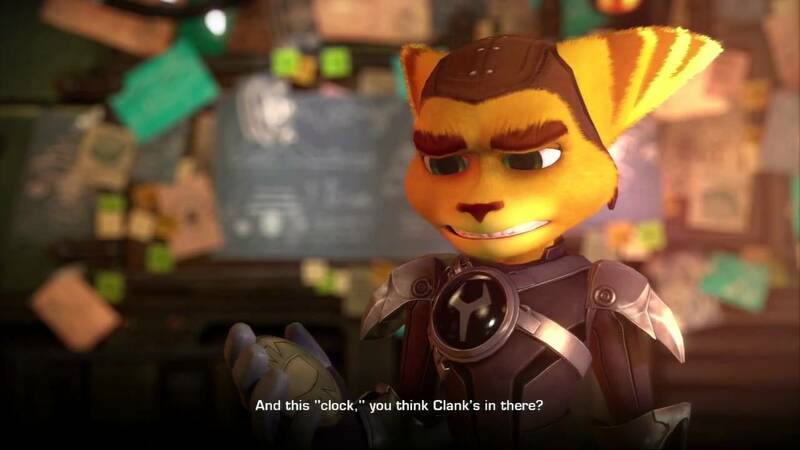 Ratchet learning where the other Lombax’s are and Clank discovering he wasn’t just an mistake in a robot factory are just some of the plot lines explored in this game. I also love Nefarious coming back with Laurence, Quark stealing the show whenever he is on screen and Azmeth being a strong character; he has motivations for his actions and its nice seeing Ratchet have a father-figure for a significant portion of the game. It also helps that he is one of the best boss fights in the series and his introduction was very impressive. I liked this story but it is not my favorite in the series; that honor still goes to Up Your Arsenal. Will say this right now, the jump from Tools of Destruction/Quest for Booty to A Crack in Time is HUGE. Everything and I mean everything got improved. But lets take it one step at a time. Lets go over one big thing first; the game is called Ratchet & Clank, but they don’t meet up until very late in the game. But both still get a lot of screen time with Clank having lengthy puzzle sections and Ratchet taking up a good 60% of gameplay time. Okay, now we can go over Ratchet’s gameplay. His control feels very tight and responsive compared to Tools, with things feeling far more ‘instant’. Not to mention some smart choices (wrench throw being more instant, gadgets mapped to the D-Pad) makes ‘small’ things feel better then before. Ratchet’s combat is better then ever, with a great line up of weapons to play with and every tool being great to use. 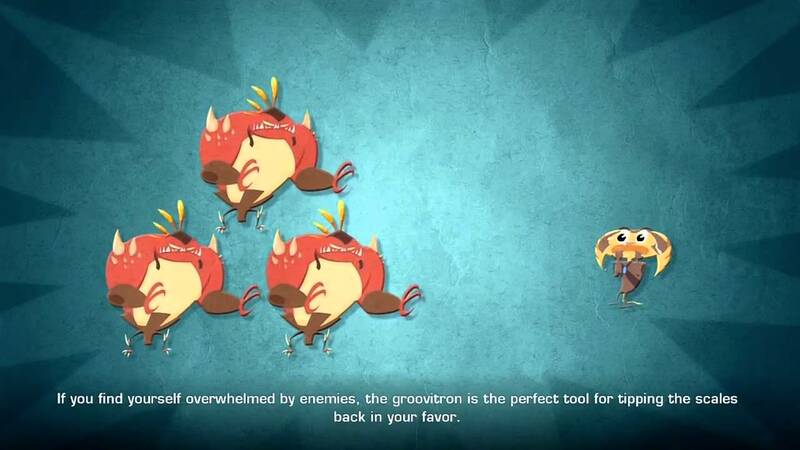 The ‘Devices’ are gone and the popular ones like Mr. Zurkon and the Groveatron become full-on weapons now. We also get special Constructo Guns (Blaster, Bomb, Shotgun) that can be upgrade with mods you find across the level; you are pushed into platforming to get more tools to mess around with and that is a smart design choice. Other fun weapons include the Sonic Eruptor which is like a Shotgun but it being a living creature using a mating call for a powerful attack and a fun black-hole gun that summons a Cathulu tentacles to pull your foes into a void-less sky. We also get the Spiral of Death, the first fan-made weapon to ever grace the series; its cool that this appears in the Ratchet Movie as well. So, the weapons are fun and core gameplay is better then ever. What else is there to cover for Ratchet? Well, the level designs are far more closed in, with exploration pushed but not enough. Tools had large levels to explore with Crack in Time having smaller locations for main levels. This is fixed with the moons you can explore though. 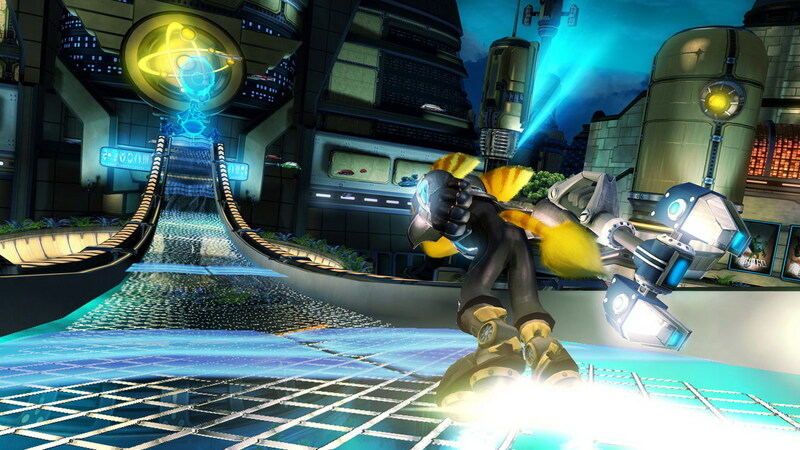 We also get to tap our inner Sonic the Hedgehog with Ratchet’s hoverboots. 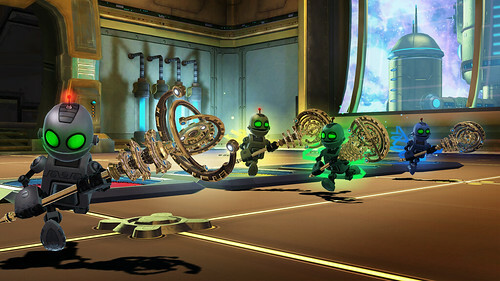 They allow him to hover in the air (replacing Clank) and being able to go very fast across large landscapes. Very useful to get from point A too point B very fast. We also get a few parts where these shine, like its introduction level where Ratchet spins, bounces and flies across large gaps of level; very fun and made me think of the Sonic series at points. Ratchet can explore space now with his ship and once you are in space, no load times for bouncing between the moons. This means that you could visit each moon and get everything without jumping into a loading screen! But the moons offer little challenges like races with your hoverboots, small platforming levels and combat waves to get through. You are rewarded with Gold Bolts (buy costumes), Mods (used for Constructo Weapons) and Zoni (little creatures that can upgrade your ship). These are great rewards and with the iconic arena returning from past titles, you have a lot to do with Ratchet. His ship also has a few combat sections but they are very minor; very simple gameplay wise and not really that engaging. Clank is interesting though, as his gameplay is completely different from ANY gameplay style in the series then and now. You have Clank being able to push his time abilities from Tools even further by making copies of himself and you can ‘record’ actions they do. So, you can have copy A step on switch, copy B defending copy A from foes, copy C running toward the exit. That is just one of the many puzzles you will solve. Clank also has a staff that can be used for fighting, time bombs that freeze everything for a short while and a great triple jump. He is far more useful then any other incarnation of Clank and his levels are a great way to break up the action. This game looks great to me, with bright colors, detailed locations and some impressive animation. That is the one thing I took away, as Ratchet has far better animations compared to his ones in Tools of Destruction. Cut-scenes are also very impressive too and feel like literal movie clips. The game also has a really nice touch; weapons movies that have an animated Ratchet react to different weapons being used when he gets them. They are funny, well animated and are very funny! Musically, its just okay. With the main series composer being gone and replaced with a new guy, the series got a more movie-based score. I did like a number of the tracks though and they do fit nicely when you are playing the game. This is a great action platform that could of been a nice conclusion to the Ratchet series. A lot of lose ends got wrapped up, the ending is heartwarming and I loved the character growth everyone got here. Not to mention we got strongest gameplay for the series since the PS2 Era Ratchet titles. Fantastic game and while not my favorite game in the series, very close to Ratchet 3 and 2 to me.